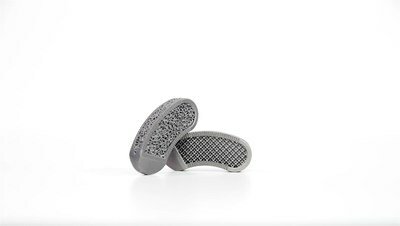 ROCK HILL, S.C., April 1, 2019 /PRNewswire/ -- 3D Systems (NYSE: DDD) announced today three global manufacturing leaders – Nokia, rms Company, and GF Precicast – have integrated its additive manufacturing solutions to transform their production workflows. Through the integration of 3D Systems' Figure 4™ or DMP platforms, these manufacturers are able to achieve design freedom, increase agility, scale production, and improve overall total cost of operations. 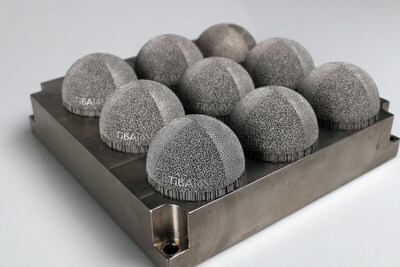 Interbody fusion devices incorporate complex porous features, printed in Ti6AI4V on the DMP Flex 350 platform. 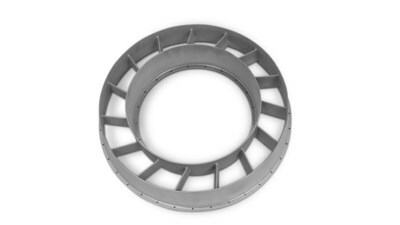 Turbine rear vane produced in LaserForm(R) Ni718 (A)on 3D Systems’ DMP Factory 500 Solution, which includes 3Dxpert and GFMS’ Cut E 600 for the separation process. Post-processing was done by GF Precicast. Full build plate of acetabular cups demonstrates the repeatability and reliability of producing medical devices using advanced 3D printing software like 3Dxpert. More than 30 years ago, 3D Systems brought the innovation of 3D printing to the manufacturing industry. Today, as the leading additive manufacturing solutions company, it empowers manufacturers to create products and business models never before possible through transformed workflows. This is achieved with the Company's best-of-breed digital manufacturing ecosystem - comprised of plastic and metal 3D printers, print materials, on demand manufacturing services and a portfolio of end-to-end manufacturing software. Each solution is powered by the expertise of the company's application engineers who collaborate with customers to transform manufacturing environments. 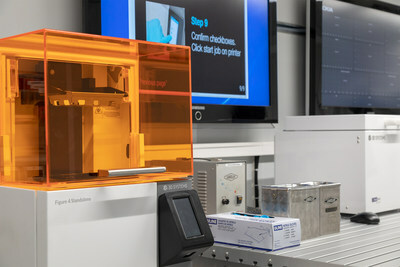 3D Systems' solutions address a variety of advanced applications for prototyping through production in markets such as aerospace, automotive, medical, dental and consumer goods. More information on the company is available at www.3dsystems.com.